This is a list of my favorite things. It makes me wish I were Oprah so I could gift them to everyone I know. But alas, I’m just a blogger and all I can do is share the information. I spent many, many hours putting this page together. 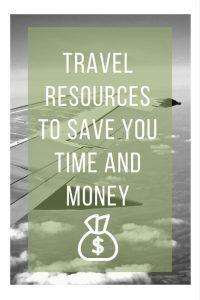 If you use these resources well, I have no doubt that you can save hundreds or even thousands of dollars on your travels. I’ll update this list over time, so bookmark this page and come back when you’re about to book a trip. Don’t travel without insurance! A clear favorite among independent travelers, World Nomads is recommended by such big names as Lonely Planet and National Geographic. They have simple and flexible travel insurance policies. And you can do a lot of things online, like extending your policy and making a claim. With just a few clicks, you can get a quick quote on their website. I switched to Macbook in 2008 and I haven’t looked back since. My current laptop is the 11-inch MacBook Air, which is super portable. It’s strong enough to do everything I need it to, including running photo-editing softwares. If you use public WiFi — and if you travel a lot I’m sure you do — you need a VPN. Information that you upload and download over WiFi is just not secure otherwise. I’m a happy customer of Private Internet Access and since I began using it I’ve been pleasantly surprised by the benefits. Mainly I use it to get around geo-restrictions and enjoy various digital content for free (TV shows, music, etc.). 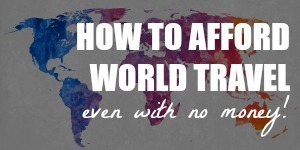 Read this post for more info: 7 Reasons Why You Need a VPN for Travel. Pacsafe produces luggage and bags with tons of safety features. For example, their bag straps and outer fabric layer are slash-proof. The zip pullers are puncture-proof and lockable. They also have stainless steel locking cables and RFID-blocking pockets. And despite these heavy-duty safety features, Pacsafe bags don’t look half bad either. Packing cubes compress your stuff so you can fit more into your bags. This Shacke Pak Packing Cubes set includes four packing cubes of varying sizes, plus a laundry bag for your dirty clothes. The nylon material is lightweight, stretchable, and water resistant (always a good thing). The Shacke Pak Packing Cubes set comes in eight colors. This yoga mat is foldable. You can literally fold it, not just roll it. I feel like I can’t say this enough because it’s so cool. When folded, this mat is about the same size as a folded pair of jeans. Made of natural rubber, it has great grip. Because it’s so thin it’s not suitable for Pilates on its own, but I just put a towel on top and that makes it comfortable enough for me. When Earl began traveling in 1999, he only had less than $1,500 to his name, yet he’s still on the road now. This book shows you, in 220 pages, how he does it. It contains almost everything you need to know before you take off and start exploring. It comes with a 60-day money-back guarantee and unlimited email support. Air miles and hotel loyalty points. You’ve probably heard by now all about how people can travel for free in luxury thanks to such rewards programs. But do you know how to do it yourself? This book will guide you through the process. There’s a 100% success guarantee, so if it doesn’t work for you, you can get your money back. Nora has been working and traveling full time since 2006. In this book, she shows you how she supports herself on the road with various jobs and how she minimizes her expenses so she can continue traveling. 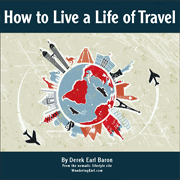 In her 6 years of full-time travel, Nora had saved more than $60,000 using the tricks in this e- book. 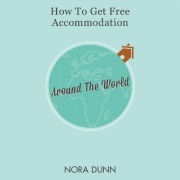 Nora goes through all the free accommodation options she has ever used in 58 pages: volunteering/work exchange, house-sitting, Couchsurfing, living on boats and home exchange. You’ll find lots of useful resources and tips for beating the competition. This is by far the most detailed guide to house-sitting I’ve ever come across. 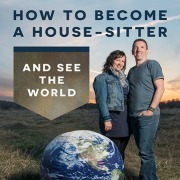 Dalene and Pete shows you which house-sitting websites to use, how to write successful profiles and application letters, how to plan your stay and how to become a good house-sitter who continuously gets good gigs all over the world. It’s great value for money, not only because you’ll save thousands of dollars through house-sitting, but also because you’ll get an exclusive discount code to their favorite house-sitting website. Work on a cruise ship = travel the world + receive free lodging and food + enjoy long vacations + have instant traveling companions in your crew mates. In 170 pages, Earl explains every step of joining a cruise ship crew, from choosing the right job to acing the interviews. 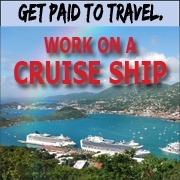 There’s a good amount of insider information — for example, which cruise lines make horrible employers? Hotelscombined is my first stop when I want to book a hotel room. It’s a huge time saver. 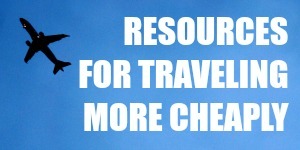 It compares rates from thousands of travel sites, including Expedia, Hotels.com, Booking.com, and Agoda. To further help you save time, the search results on HotelsCombined show you the rates for your entire stay and already include all taxes and fees. After finding the room I want on HotelsCombined, I like to book with Hotels.com whenever possible. They have reasonable prices, but what really appeals to me is their loyalty program, which lets me collect 10 nights to get 1 free night. There are 254,000 hotels that participate in this program, so its easy to collect and redeem your points. It’s like an automatic 10% discount on your hotel rates. Priceline has a unique “Name Your Own Price” feature that you can use to bid on hotel rooms. You start by entering your destination, dates, neighborhood, and star rating. Then, enter a price that you’re willing to pay for the room. If there’s a room that fits your criteria, you can book it. They won’t tell you the name of the hotel until after you’ve made the booking. 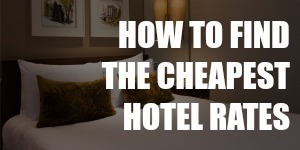 Read these Priceline bidding tips before you book. This is where you’ll probably find the best deals on hostels. Hostelworld has beds from 30,000 hostels worldwide and lots of guest reviews. They specialize in hostels, but you’ll also be able to find hotels, apartments, bed & breakfasts and campsites here. The most popular vacation rental site out there. On Airbnb, you can rent anything from a couch in someone’s living room to a mansion with a private swimming pool. Search online to find a link to get $25 sign-up credit. I used to have one of those links here until Airbnb deactivated my account for offering it to people I don’t personally know. Boo. House-sitting is a great way to score free accommodation and live like a local. You’ll usually have an entire apartment or house all to yourself. More often than not, house sitters have to take care of pets or even farm animals. Trusted Housesitters is the biggest house-sitting network out there, but there are decent gigs on House Carers and Mind My House too. Read these tips on how to choose a house-sitting site. People all over the world offer their couches and spare rooms to travelers through Couchsurfing. This is more suited to trips up to three days long or maybe up to seven days. (You know what they say about houseguests and fish.) Set aside some time to get to know your host. And if you can afford it, cook them a meal or buy them a gift. Servas is another similar community. Home exchange is a great way to travel the world for free if you own a house yourself — by swapping it with someone else’s. In this mutually beneficial exchange, you’ll both stay for free at your chosen destinations. Homelink is the first home exchange network ever, being founded in 1953. Intervac was established the same year and is just as popular. Read this post: Home Exchange 101. Get free accommodation in exchange for work, trading in your time, skills and energy. Many gigs involve hospitality or farm work, but there are other opportunities too. Okay. This may cost me because I don’t get commissions from Google or individual airlines, but I’d rather be honest. I personally prefer to book my flights directly with the airline. In case there are changes, it’s easier to deal with the airline directly. So here’s what I do most of the time: I find the flight on Google Flight Search, then go to the airline’s website to book. Simple. Airlines and travel agents literally hate Skiplagged. This site has been controversial from the start. They’ve been sued, but they’re still around. Aside from showing you regular airfares, Skiplagged also finds you hidden-city flights. A hidden city flight is when the itinerary is A-B-C but you only want to get from A to B, so you simply abandon the B-C leg of the trip. This site doesn’t just show you flight routes. They also show you alternatives, like trains, buses, ferries, and cars. On this site, you can find people (mostly in Europe) going the same way you are and share a ride. It’s just like carpooling, except you do it with strangers. In a different way, it’s also just like hitchhiking, except you get to read reviews about the driver beforehand. Oh, and you also have to pay a small fee to use the service. BlaBlaCar is a great option if you want to get around cheaply. A household name, Lonely Planet is the biggest guidebook publisher out there. Wherever you want to go, they’ve got you covered with photos, practical advice, maps, and walking routes. Thousands upon thousands of reviews from real travelers of hotels, restaurants, places of interest, and things to do. TripAdvisor is an indispensable resource for me and I always check the website before I travel. I also like to use the app to use the map and read the reviews offline if I don’t have access to phone data service. Don’t have time for guidebooks? Just want to hit all the main attractions? Get a CityPASS booklet. It gives you up to 50% discount on the entry tickets to a city’s best attractions. They now have booklets for 11 cities all over North America. G Adventures does small group tours and takes you off the beaten path. If you want authentic experience without all the hassles, this is the way to go. Contiki specializes in student and youth travel. If you’re between 18 and 35, Contiki’s tour groups are made for you. Go make friends with your peers and get yourself into trouble. Taking the train going anywhere? Read The Man in Seat 61 for train routes, fare prices, and a lot more information than you need. Got a long layover? Check out Sleeping in Airports to get your bearings and to find the best spot for napping. Want to get into blogging? Nomad Wallet is built on the Genesis framework by Studiopress and I use Westhost as my hosting provider.